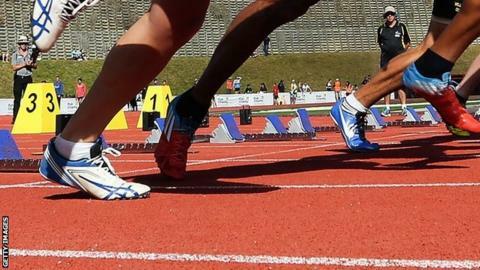 The annual Interinsular athletics match between Guernsey and Jersey has been cancelled because of travel problems. The travelling Jersey party were unable to secure flights for more than half of their squad, comprising of 80 athletes, following changes to airline schedules. Alun Williams, president of the Guernsey Island Amateur Athletics Club, said: "This is very disappointing for our younger athletes in particular. "I know that our colleagues from Jersey Spartans share that disappointment." The announcement comes two weeks after it emerged that cricket matches in the Channel Islands were under threat for similar reasons. A recent codeshare deal agreed by the two airlines that serve the Jersey to Guernsey route, Blue Islands and Aurigny, means that teams can no longer travel between the two islands in one day. In a statement released last month, Aurigny's commercial director Malcolm Coupar said: "Both airlines are keen to point out that large sports groups that wish to travel should always book well in advance, so that we can schedule sufficient capacity to accommodate the demand and, if required, organise charter flights." Williams added: "We are hoping to organise a local event over the May weekend, but it will be a poor replacement for the excitement of an Interinsular competition." In a letter to the airlines, Williams described recent travel arrangements as "tortuous" and suggested that the companies were not providing sufficient capacity on the route. Jersey Spartans Athletics Club are hoping that the event can be re-arranged, with dates in August and September said to be being considered.